The job hunt is full of many frustrating time-delays, especially if you’re a teacher with a deadline to leave the classroom. 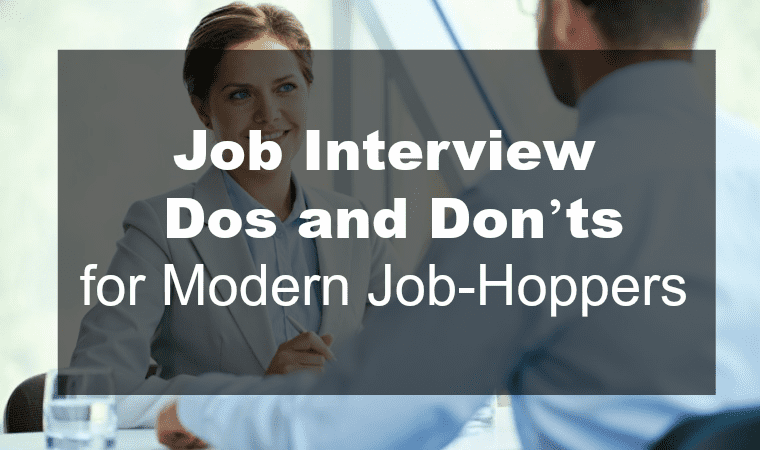 Even if you blast through the basic frustrations such as finding the right job, writing a compelling resume and crafting an effective cover letter, you can still get hung up on someone else’s schedule: the busy HR manager. I experienced this myself in the course of my career. I went through a great set of interviews and received positive feedback from the position’s supervisor and the HR manager. We even discussed salary ranges, which is usually a good sign that an offer is near. Right before contacting my references, the trail went cold. I waited patiently and then sent each contact one email a week apart from each other. Each time I heard nothing back, until my second, polite follow-up email. And since that interaction? It’s still a cold trail. The time between calls was very educational. I got to reconsider whether or not I wanted the position and pursued another job that might be a better fit. Most importantly, it taught me to always exercise patience, especially when HR managers are involved. Looking for your first job out of teaching can be frustrating and confusing. What do you do with your experience? Who will hire you? Wonder no more. Here’s the next spotlight of great jobs for former teachers. This post about becoming a Virtual Assistant is brought to us by Gina Horkey, the brain behind two educational courses: 30 Days or Less to Freelance Writing Success and 30 Days or Less to Virtual Assistant Success. Before you read this post, make sure you read Great Jobs for Former Teachers: Freelancing and Consulting to get a basic idea of what a freelance job is like and how they work. 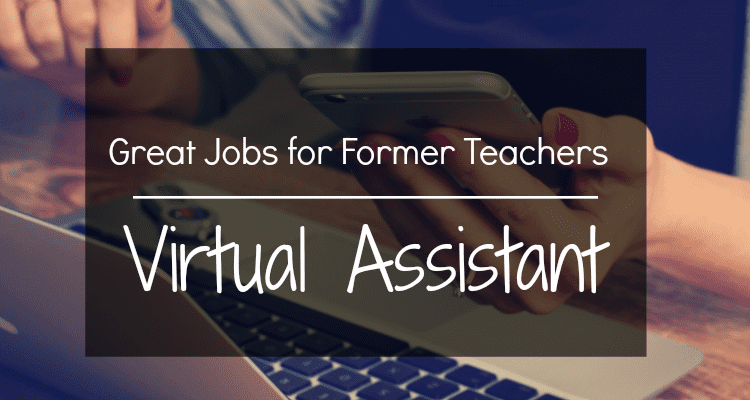 Then dive into the details of being a Virtual Assistant with this post. What does a VA do during the day? A virtual assistant’s day can vary greatly. It really depends on what you’ve contracted with your client to do. My team has helped me to compile a list of 125 services you can offer as a VA (and get paid for!) and even that’s not exhaustive. From personal experience, the types of things that I do for my clients are email management (reading, sorting, filing, and replying to my client’s email as appropriate), customer service (processing payments or refunds and answering questions via a chat system), editing, writing and brainstorming opportunities for efficiency in my client’s business. What are people willing to pay for a VA’s services? According to the limited research that exists, the average North American virtual assistant earns $35-50 per hour (with some going as low $25 and others as high as $100). From the students in my community, I’ve seen rates as low as $15 per hour, up to $40 per hour. When I started, I quoted my first client at $34 per hour and he didn’t seem to blink. We’ve since moved to a weekly retainer model and my average hourly wage is much higher now. So, I guess the short answer is, it varies! I always tell people to quote high enough that if you get the job, you’ll be happy doing it for that fee for some time. You don’t want to underbid to get the job and then be unhappy working for that rate long-term. Why are people willing to pay for a VA’s services? It saves them time, stress and makes their work more enjoyable. Many entrepreneurs feel like they need to do it all. And maybe as you’re bootstrapping and growing your business initially, that’s true. But none of us are good at everything, nor do we enjoy doing it all. Plus, for many entrepreneurs, they can bill out at a much higher rate than they pay their VA. So if they bill at $100 per hour and they’re paying their VA $25 per hour, they’re potentially net positive $75 per hour. It’s a form of subcontracting, really. What personal characteristics do you think make the best VA? What digital skills do you need to have to be a VA? I think you need to know how to use the internet and have a computer, good internet connection and telephone at your disposal. Every client is going to use different tools (there are millions that exist), but most are pretty user-friendly and you can pick them up fairly quickly. What are a few examples of how you can learn some of these skills? In my course, we go into detail about how to use a few that are fairly common, like Trello, the Google tools suite, and Buffer. There’s a lesson devoted to each of these and enhanced training available with other packages. Are there any downsides to being a VA full-time? What about part-time? I’ve only ever done it part-time and now it’s based on select tasks, rather than set hours. I think a downside to being a VA in general, is that you’re typically building someone else’s business, rather than your own. If you’re not interested in being a full-blown entrepreneur, then that’s not really an issue. A great pro to being a VA is that often you can earn while you’re learning, and you can scale the work up or down according to your schedule. For example, you can keep your full-time job and pick up VA clients on the side or during the summer as you build your skills and test if it’s a good fit for you. What’s the best way to get started as a VA? I know I’m biased, but I’ve worked really hard to make 30 Days or Less to Virtual Assistant Success the absolute best way to get started. Each lesson is succinct and actionable, encouraging you to complete the action steps, before moving to the next lesson. There are strategies for setting rates, finding clients, establishing a rockstar resume and more! Best of all, the private Facebook group is super supportive and encouraging. It’s a really great group of people. Lastly, I recently launched a VA matchmaking service to introduce qualified North American and European VAs with entrepreneurs, webpreneurs and small business owners that are looking for good people to help them take their businesses to the next level. It’s in beta now, but I’m really excited to grow the directory and help bring more VA business back this way. If you can’t invest in a course at this time, you can start by contacting local businesses or people in your personal network to see if they need help managing email or taking care of easy web tasks. Pitch them with a few hours a week and see how it feels to be a Virtual Assistant! You’ll also want to connect with other VAs on popular blogs and websites to learn from each other. Gina Horkey is a professional writer and online business marketing consultant. She has a decade of experience in the financial services industry and enjoys helping other freelancers gear up to quit their day jobs and take their side hustles full-time. She also shares what she’s learned while building her online business through her 30 Days or Less courses. On a personal note, she is a married, millennial mama to two precocious toddlers (and is thankful her husband has the patience of a saint as he stays at home with their children). This summer I partnered with College Recruiter to share my perspective on how you can use an English major to make more money freelancing than in a 9-5 job. I’ve done it two years in a row now (first at $59K, soon to be at $89K), and I think it’s an important message to get out there. 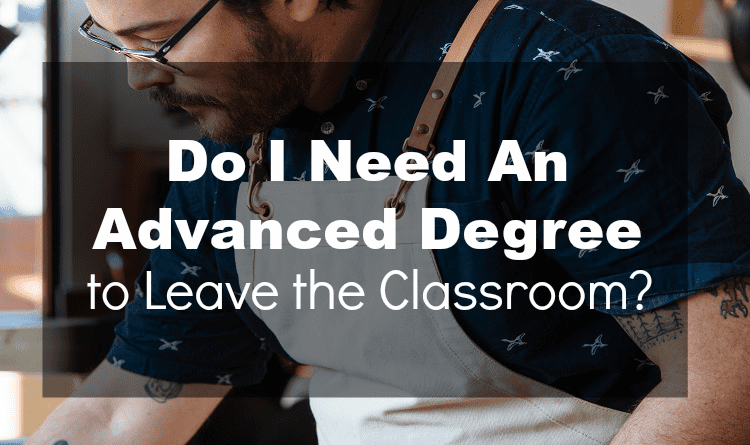 The audience for this webinar is new grads, but there are lessons here for anyone at any stage of life, particularly teachers with any background (so long as you love to write). I promise you: the only thing limiting you is you. If you’re a new grad, if you know a new grad, or if you don’t think freelancing is a viable career, this is a great orientation to the concept of freelancing and the little-known benefits to freelancing over traditional employment. Video not showing up? Click here to watch on YouTube. Extra points if you share with a friend ;-). PS This will be my last post for 2016, as I retreat into my cocoon office and finish up the release of the updated 2016 Life After Teaching guide. God bless you, and I’ll see you in the New Year!